Tyler Pitchford graduated from Girard High School in 1997. Following graduation, he attended Lincoln Land Community College and went on to Worsham College of Mortuary Science in Wheeling, Illinois, and received an Associates of Applied Science Degree in September 1999. Tyler is a licensed funeral director, embalmer, crematory operator, and insurance producer in the State of Illinois. Tyler is also a Madison County Reserve Deputy Coroner. Janna Boger-Pitchford resided in South Roxana and East Alton, Illinois. She graduated from Roxana High School in 1997. In 2000, she received a Bachelor of Science Degree and in 2003 received her Master of Arts Degree in Elementary Education from Southern Illinois University at Edwardsville. Janna worked as a teacher’s assistant at Lewis and Clark Elementary School in Wood River. Since 2001, Janna has been an elementary teacher in the Roxana School District, where she currently teaches fifth grade at Central Intermediate School. Tyler and Janna were married in July of 2002 at Emmanuel Free Methodist Church in Alton, Illinois, where both are members. They reside in East Alton, Illinois. Through volunteer work, both Tyler and Janna are involved in their community, church, and school district. 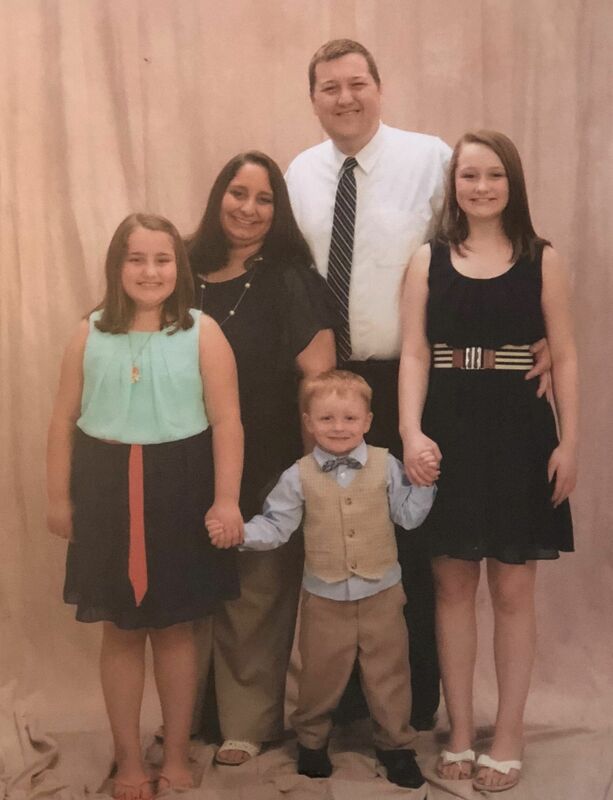 In October 2003, their daughter Madelynn Grace, was born, in March 2007, their daughter Meredith Claire, was born, and in September 2012, their son, Benjamin Tyler, was born. The kids enjoy “helping” out at the funeral home. The Pitchford family also enjoys spending time with their dogs Noel, Sadie, and Buster.